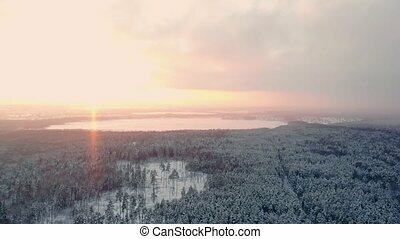 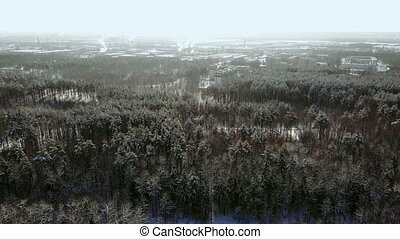 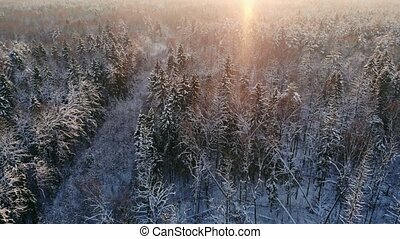 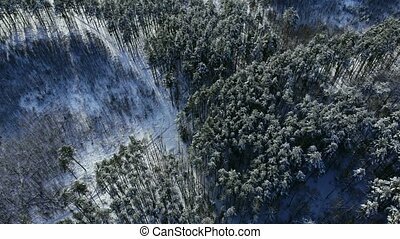 Aerial close up flying over frozen treetops in snowy mixed forest at misty sunrise. 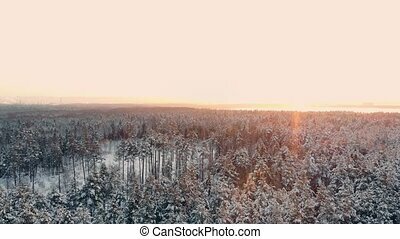 golden sun rising behind icy mixed forest wrapped in morning fog and snow in cold winter. 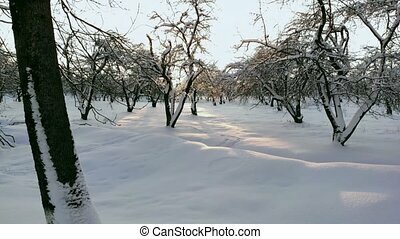 stunning winter landscape.